In 1993 Yu Suzuki spent two weeks in China gathering material for his upcoming Virtua Fighter II game, and his findings also greatly influenced his creation of Shenmue. In this first part of a new series, Phantom River Stone has translated blog posts by the person who accompanied Yu on this journey. Today's post topic was selected by Phantom River Stone patrons in our monthly poll for a topic suggestion for the month of July. 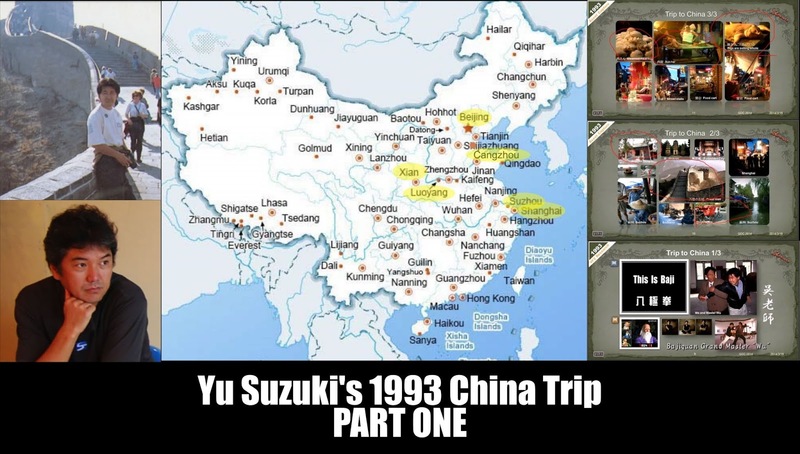 In the year 1993, Yu Suzuki made a trip to China to research and gather material that had a direct impact on his creation of the Virtua Fighter games, and also on his later concept for "Virtua Fighter RPG" which eventually came to be known as Shenmue. To date there has not been a lot of information available about this trip. 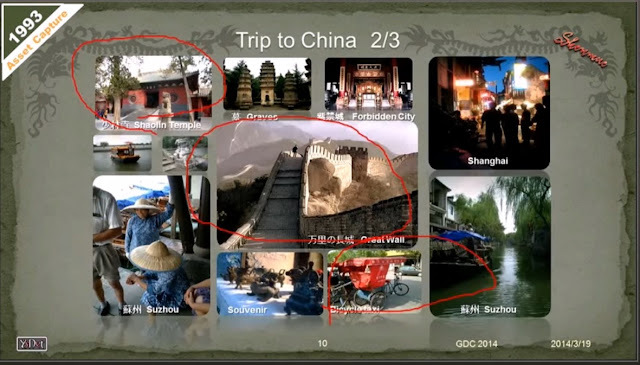 Yu has made mention of this trip during presentations, notably his talk on Shenmue at the 2014 Game Developers Conference in San Francisco at which he shared photos of some of the places visited. Then during my investigation for this article, I came across some posts on a personal blog that were written by the person that Yu made the trip together with - and who later worked with him on the actual Shenmue project: a man by the name of Kazunari Uchida. 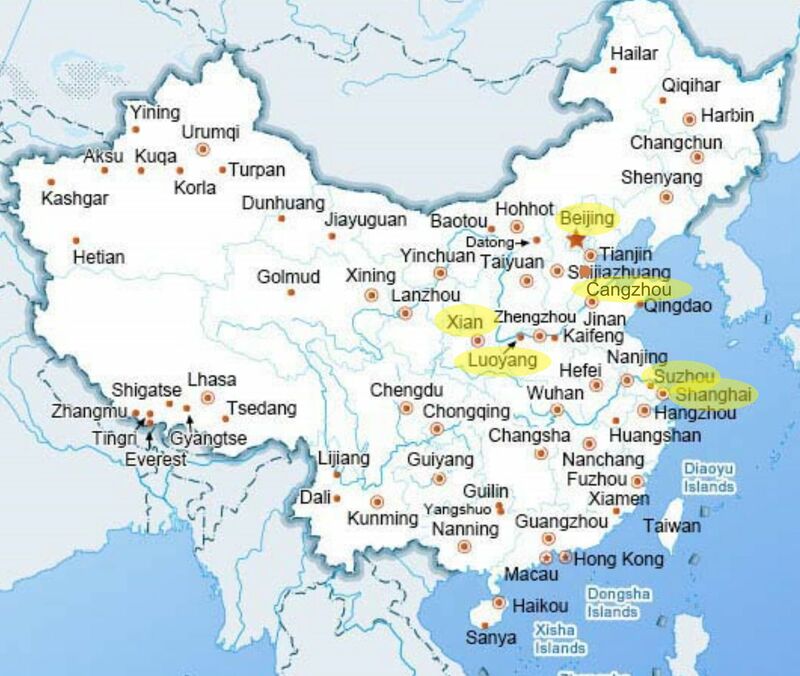 In June 2015, Mr Uchida wrote a short but fascinating blog post in commemoration of the launch of the Shenmue III Kickstarter that describes their China research trip. This post contains a translation of the these pieces, supplemented with by images and photos from various other sources. Born in 1961, as a teenager his hobbies included mountain climbing and offroad biking, and while at University he traveled around the whole of Japan by motorbike. After graduation he became a freelance writer. In 1985 he ranked 6th place in the open motorcycle class of the Baja 1000 international offroad race in Mexico. In 1986 he went to the far western region of China to cover locations such as the Taklamakan Desert and the mountainous China-Pakistan border. Then, several years later in 1993, he traveled again to China, this time together with Yu Suzuki to gather material for Virtua Fighter 2. From 1996 until the later 1990s, he joined Yu Suzuki's AM2 department at SEGA as Adviser & Chief Scenario Writer on Shenmue, as well as being involved in the development of other games. 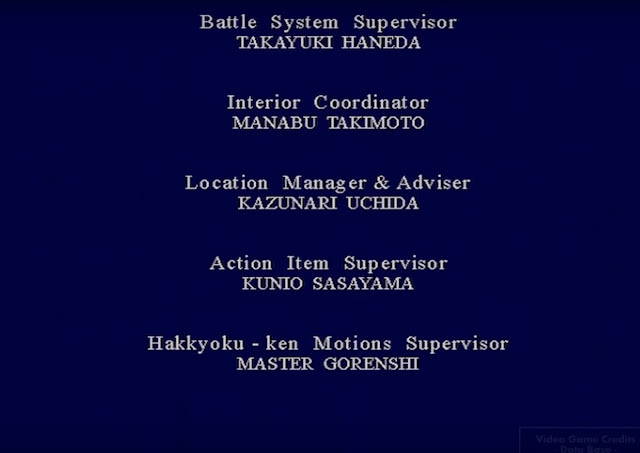 He is also credited as Location Manager & Adviser in the ending credits of Shenmue. Starting below is a translation of the first blog post. Translation by Switch. 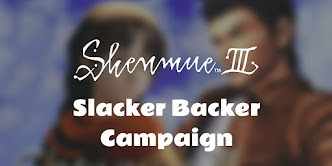 At E3 (the Electronic Entertainment Expo) which started yesterday in Los Angeles, Yu Suzuki announced that he would be crowd funding and releasing a sequel for the game Shenmue, for which a sequel had not been forthcoming for many years. Incredibly, the Kickstarter target goal of 2 million dollars was reached in half a day. Now exactly an entire day has passed, and very soon 3 million dollars will be achieved. In fact, I have a deep relationship with Shenmue. I've known Yu Suzuki for almost 30 years already, since the time I met him through my coverage for a motorcycle magazine when he developed the ride-on simulation motorbike game Hang-On. After Hang-On, he released hit after hit of ride-on simulations, and in addition took the world by storm with his fighting game series, Virtua Fighter, that incorporated full-fledged 3D graphics for the first time, rising to become a world-leading game creator. In the early 1990s, when Virtua Fighter was stirring up a tremendous craze, I received an unexpected call from him. He explained that development on Virtua Fighter 2 was underway, and asked if I would accompany him to gather material on kung-fu from its birthplace of China, in order to give realism to the characters' movements and the story's background. For around 2 weeks, the two of us visited several areas in China, interviewing particular masters he had chosen. From Beijing inland to Luoyang and Xi'an, then to Cangzhou on the Bohai Sea coast besides; we went all over the vast continent in 2 weeks. We connected to long-distance trains, and must have easily traveled more than 10,000 km. At Shaolin Temple, we were deeply impressed by the martial arts demonstrations, where the youthful hope within the massive martial arts school quietly dominated the large training hall. In Cangzhou, we called in on the legitimate successor of Baijiquan, Master Wu Lian Zhi who was someone Yu Suzuki had wanted to meet at all costs, and we were given a martial arts demonstration by his student. 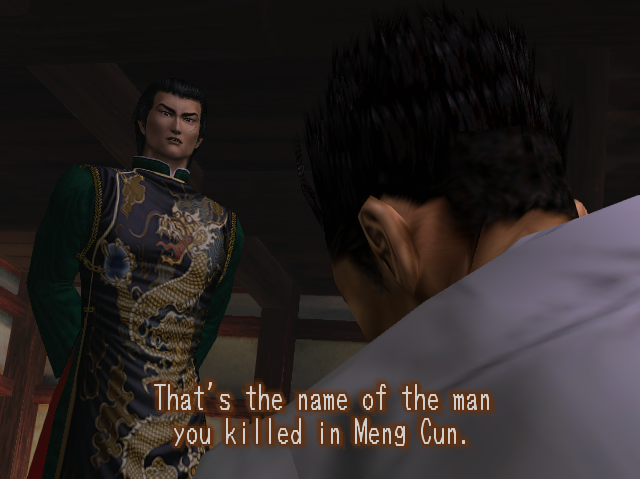 [Note from Switch]: The location of Master Wu's school in Cangzhou is specifically in a place called Mengcun - the name of this location, which is the birthplace of Bajiquan, is one that has been woven into Shenmue's story and will be familiar to players from the opening scene (and also later). 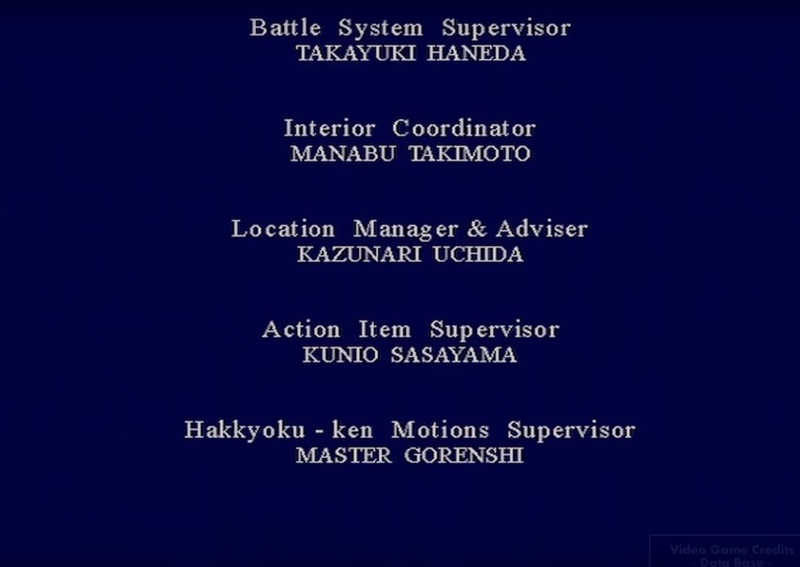 From the opening of Shenmue. Furthermore, a small accident occurred with Yu Suzuki's fervent request to experience the real Baijiquan himself: what was intended to be a light punch stopping short, actually made contact with Yu's chest and that alone fractured his rib. Having been able to truly experience the mysteries of Baijiquan, Yu forgot any pain and was delighted. [Note from Switch] Here is the accident in Yu Suzuki's own words (from his talk at GDC 2014): "When sparring with me, Master Wu failed to stop his attack in time and I ended up falling head-first to the stone floor and I ended up getting a big lump on my head. When I think back, it's such a great memory". Later, Yu invited Master Wu to come to Japan, where his movements were motion-captured for a character in a game. [Note from Switch] The game character referred to here is the character of Shun Di in Virtua Fighter 2. 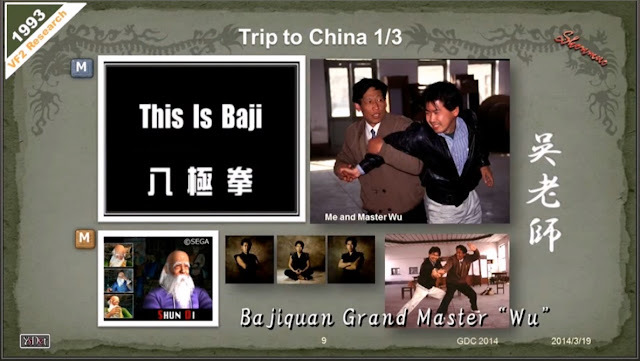 In his GDC 2014 presentation, Yu relates, "The grand master drank too much sake in welcoming me and his Bajiquan style turned into 'Drunken Kung Fu' style" (this is the actual name given to the style used by Shun Di in the game). Between visiting the kung-fu masters, we captured photos of the Forbidden City in Beijing, the atmosphere of Shaolin Temple and also back-street scenes in the minutest detail, and made use of these in the game. [Note from Switch] The images below are from Yu Suzuki's GDC 2014 presentation, including his hand-drawn annotations in red. Locations mentioned here in addition to those in Mr. Uchida's post include the Great Wall, Shanghai and Suzhou. 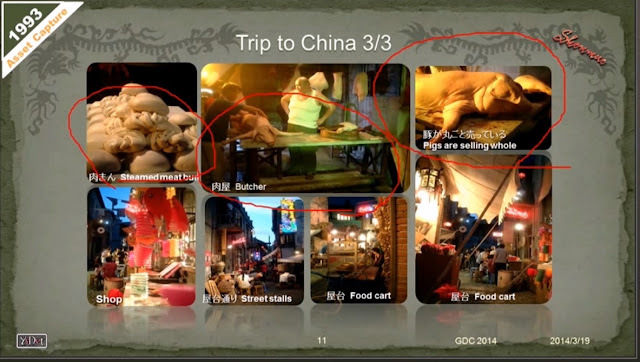 Location details showing steamed meat buns and street stalls. Making full use of the expressive ability of the 3D graphics of the time in the pursuit of reality, Virtua Fighter 2 turned out to be an unprecedented hit. During the long research trip in China, Yu and I conversed until the small hours of the morning over drinks of Chinese liquor. Although I was unfamiliar with games, it was clear that the ability of computers would improve by leaps and bounds, and games would be able to have even more detailed and natural movements, leading to the demand for the kind of realism that would make you feel like they were real-life stories. At that time, he was already achieving a high level of realism... which would lead on to Shenmue. He must have had a very clear vision of the game. As an outsider, right then there's no way I would have understood any kind of explanation, so he didn't tell me any specific details, but I could tell from the look in his eyes that the sense he had got from the China research had given him great confidence, and his gaze was firmly on the next level of game content. 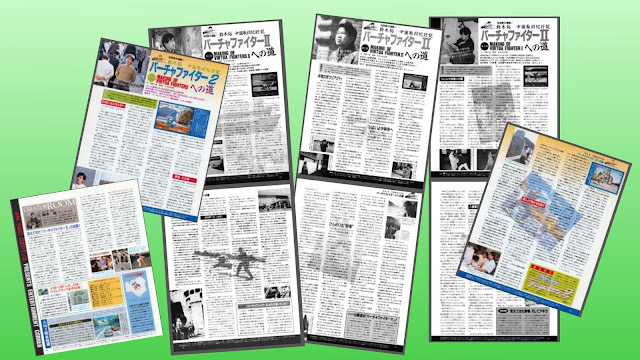 Arrangements were made for a full account of our China research to be serialized in a games magazine by Mr. Fumio Kurokawa, the public relations officer under Yu Suzuki at the time. As for Yu, upon returning to Japan he became furiously busy and I didn't meet him for a while after that. The serialization in the game magazine came to an end, and my association with the games industry ceased completely. I returned to my main occupation at the time, which was a writer centered around the outdoors and motorsports. And then, one day as I was thinking of the good times I had with Yu on the China research trip, I received another call unexpectedly from him. That was an invitation to join the Shenmue development project. I'd like to write about that in a future part, when I find the time. Unfortunately it would appear the follow-up post about Shenmue hinted at above never eventuated, however on his blog there is a separate post of interest that describes a SEGA reunion party he attended in 2010, in which he talks about the project. This gives some insight into his experience of working in Yu Suzuki's AM2 department. Starting below is a translation of the second post. Translation by Switch. 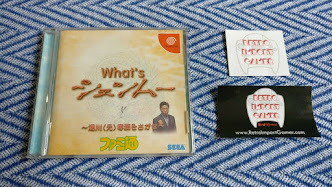 My association with SEGA came about approximately 25 years ago, when I carried out an interview Yu Suzuki, who was a programmer. After that, at his invitation, the two of us went on a fact-finding trip to China for his famous creation Virtua Fighter 2. After a period of time, I received another invitation from him, and became involved with the masterpiece called Shenmue. Just at that time, I was thinking up a plot for a fictional piece to do with computer science, and jumped at the fortunate opportunity to be immersed in what you could call the front line. And, before I knew it, I threw my heart and soul into this project. The game development studio was an incredibly enjoyable place. Until then, with my job as a writer, there was some interaction with the editors, but that was largely administrative and basically you were working alone, filling words onto a sheet of paper. At the game studio, the scenario team would think up the plot, divide it up and turn it into scenarios. They would be handed to the 2D team who would make detailed storyboards together with a design plan, which would next be passed to the 3D team to design the characters and architecture of the game world. Then, finally, the program would be put together in line with the scenarios to produce a fully-moving game. Of course, a process like that doesn't go so easily, and there were plenty of rendering problems, programmatic issues and so on. Endless adjustments and rework were needed. However, no matter how much those kinds of problems piled up, gradually the plot that we had thought up took shape, and the feeling of having "constructed a world" that I had upon seeing it come to life in the form of a realistic character starting to move, is one that I had never experienced before. In the end, the project continued for more than 3 years, during which I gave it everything, taking hardly any days off and cutting down on my sleep. A total of more than 200 staff was involved in the project. Each of those 200 people gave their best to their part: on occasion their opinions colliding heatedly, on occasion going beyond their roles and combining their wisdom, but all with the single-minded goal of creating a work to be proud of. Last night, staff members from that time gathered together for the first time in 10 years. Of the 200, an impressive 91 people went out drinking in the nostalgic area of Kamata [note from Switch: an area of Tokyo near SEGA's offices]. Everyone had nostalgic expressions on their faces - colleagues who spent time together in close contact for a certain period. Once you start working in society, it's very hard to make friends with people you can be open and frank with, but despite the long gap we soon resumed that intimacy again. "I have a friend, Yu Suzuki. He came here to Mengcun five years ago. And over the days we talked together, he came to understand that Bajiquan is both a formidable weapon and a rational martial art. Of course, he's not a martial arts expert. However, he eventually spoke about his feeling towards Bajiquan like this: 'The stronger you become, the more you mustn't hurt anyone'. Yu Suzuki understood the true spirit of Bajiquan". 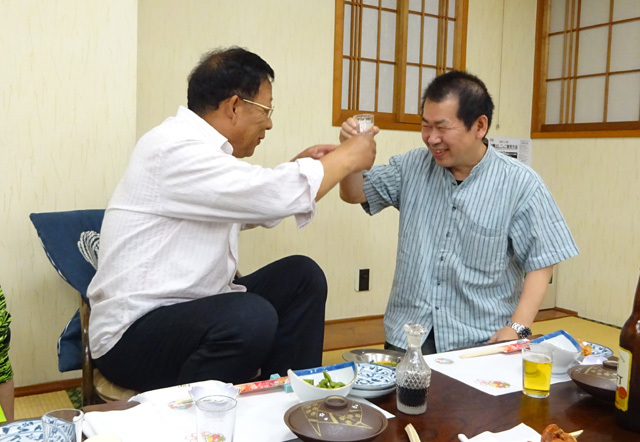 Master Wu and Yu Suzuki have maintained their friendship over the years (photo from 2015). 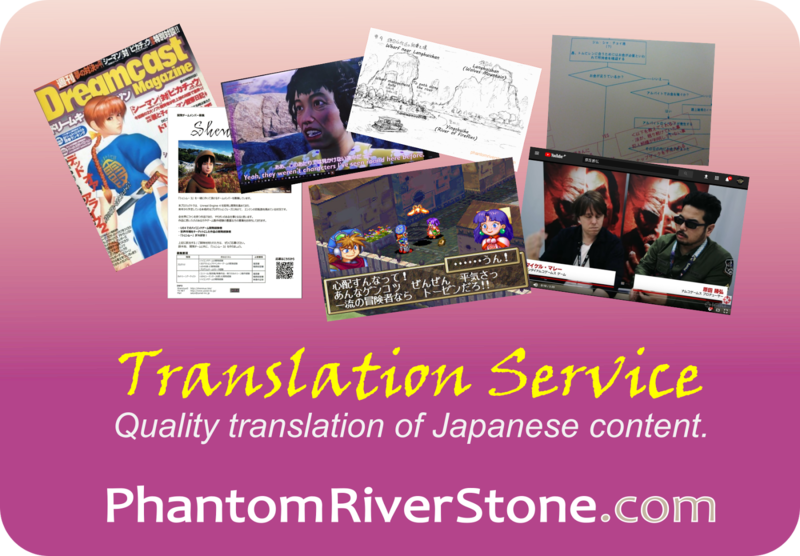 We'll be translating these and sharing them with the community on Phantom River Stone over the months ahead, and I'm looking forward to being able to share some little-known details and photos of his trip. Keep an eye on the blog and follow along! If you enjoyed this article and would like to show your support for the blog, for just $2 a month get access to posts in advance of their general publication, throughout the month! This article is so detailed and interesting. Thanks ms for your work - and how cool is Yu? No wonder he still hangs on to Shenmue after this trip of a lifetime! Yes, it's amazing to think that now, 25 years later, we will be able to see further fruits of his trip in Shenmue III. 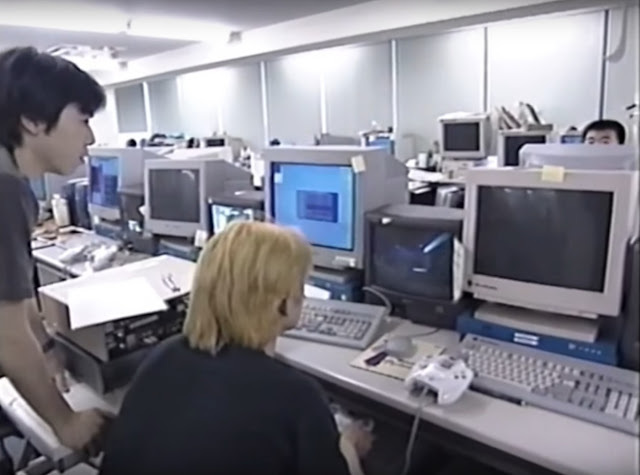 Shenmue Documentary Pitch Video "Making Of"